English punk rock band The Clash came together in London in 1976 with members Joe Strummer, Mick Jones, Paul Simonon and Nicky “Topper” Headon. Following some internal fighting and membership changes, the band broke up in 1986. 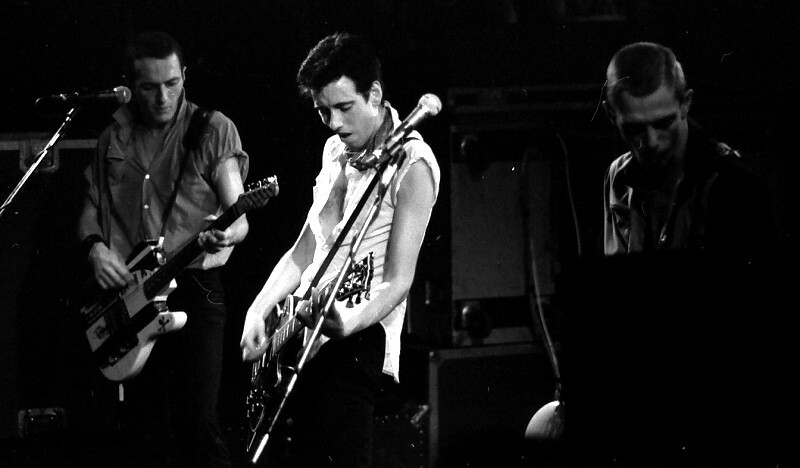 The Clash was known for bringing reggae, funk, ska and other styles into its punk rock sound. The band had commercial success in the UK with their 1977 debut album. Their next two albums, London Calling and Combat Rock, were also major successes in the United States. The Cure released what would turn out to be their final album, Cut the Crap, in 1985. The perfect soundtrack to the late 70s in England. Growing unrest about high unemployment fuelled a lot of anger in the country with London being a beacon for the disillusioned. This wasn't the London of today, London was a far rawer city in the late 70s and early 80s.